Fort Lauderdale, FL — The new Texas Advanced Computing Center (TACC) houses a massive visualization laboratory, auditorium, and research and office space that complement UT’s super computer laboratory. The building sets the design tone for future academic development at this historic campus. 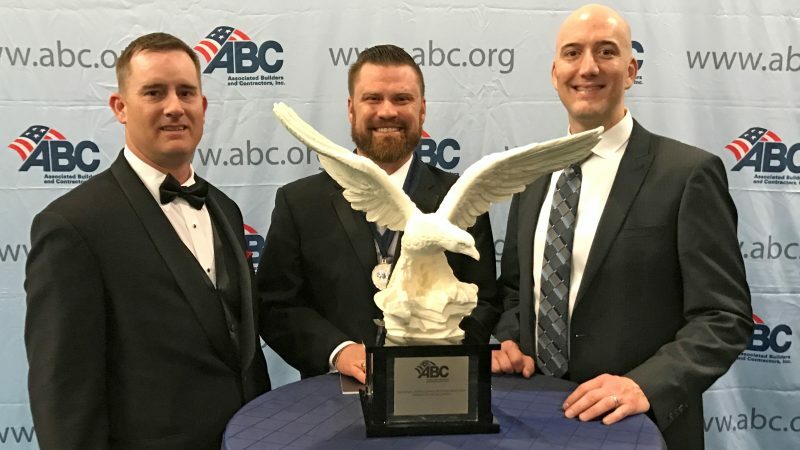 The Associated Builders and Contractor’s (ABC) National Excellence in Construction Awards recognize the nation’s most innovative construction projects. O’Connell Robertson had the opportunity to team with Flintco Construction and the University of Texas at Austin to provide design services for this highly unique facility located at the UT Pickle Research Campus in Austin, Texas. “Hard work and creativity from both the design team and our construction partners at Flintco made it possible to realize the TACC team vision for a world class supercomputing center” said Jarrod Sterzinger, AIA, LEED AP, a Principal and O’Connell Robertson Education Team Director. “At O’Connell Robertson, we want to make an impact. Our clients give us the opportunity to exceed their expectations and this project set a new bar for collaborative success”. Mr. Sterzinger joined the Flintco team on March 2nd in Fort Lauderdale to accept the award.